Take a good look at this menu. Play close attention to the listed items and prices. 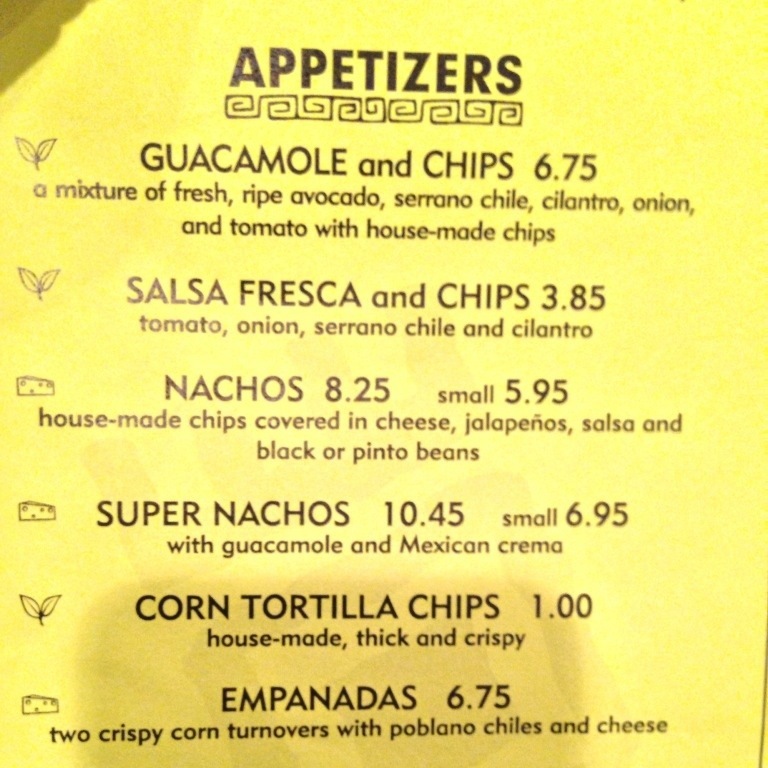 This menu is from Picante in Berkeley, you should go if you have not been there yet. Before we proceed, a word of caution. Please do no bother writing to the restaurant about your insight or write a blog postabout it. I speak from experience. Business owners are busy running their business, serving customers and making payroll. They don’t have time to listen to our free advice.This isn’t about them. Now that you looked at this, what stands out? The first five are variations of the same basic model – chips. Six, if you include the half size option. There is one that stands out. The $1 base model. We are looking at this price list after the fact, we do not know the reasons it was introduced. Nor do we know if this came first, at the same time as other versions, or introduced after the premium market was saturated. Is it there to capture those low value customers who are not willing to pay for premium features like salsa and guacamole? Or is it impacting revenues and profits by tempting those who would have otherwise picked the premium versions had the $1 chips not there? For every unit of $1 chips they sell their average selling price (ASP) goes down. You do not need to know exact cost accounting to see their margins from premium versions are going to be lot more than the $1 version. Besides the $1 version may incur them unseen costs like those consuming lot more of their free condiment sauces (guilty). Wouldn’t it be great if all of the low value customers who will never buy the premium versions are the only ones opting for the $1 version? This will help them grow their profit despite the drop in average selling price and makes a case for introducing the $1 version. After all who but the most price conscious will pick the $1 version? And if they take away the unlimited free sauces they offer, some may even upgrade to premium versions. The same logic is under works for the rumored Apple’s iPhone lite. We know here they only have the premium versions. But they kept their past premium models around and sold them at much lower price points. That indeed had an impact on its iPhone ASP and gross margin. The ASP and profits took a hit because these phones are too good that some who would have otherwise picked premium version find greater value in the older models and choose them instead. Even if they are tempted Apple is confident of its price fences – no Retina display, limited in wireless technology, flash capacity, data plans supported by wireless providers, etc. That is simple incremental profit math. Unless of course they found a way to convince us that we need both – one for each hand. Yesterday Apple announced its Q3 FY-2013 earnings. The product line unit numbers and revenues reveal something rest of the earnings statement do not. ASP is the Average Selling Price. You can compute that by dividing revenue by units sold. While average usually hides details a change in average is interesting. Because change in ASP points to change in product mix they are selling or change in prices. When a business has products that cover the entire price spectrum, ASP shifts are something to pay attention to. For example a larger drop in ASP with only minor drop in unit numbers will point to people not seeing value in their premium products and are happy with the low-end products. Good enough beats better. Since premium products bring more gross profit – you don’t think it costs Apple $200 or even $100 (at 50% gross margin) to go from 128GB MBA to 256MBA do you? With that background let us look at iPhone, Mac and iPad ASPs. 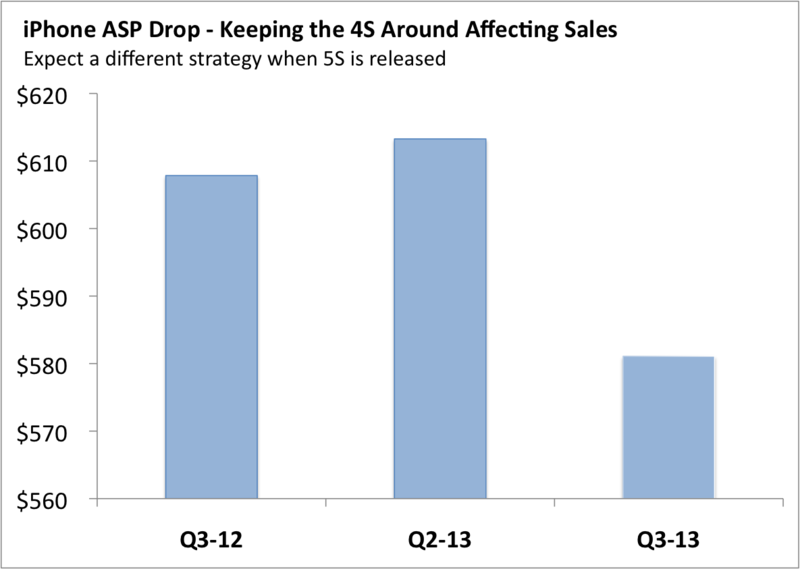 iPhone ASP held stead till last quarter (Q2-FY12). But since then it took a drop. The reason it held stead in the past quarter was iPhone 5. But after all those seeking new and great buy their iPhone 5, the market is left with only the price conscious customers and they are buying iPhone 4 or iPhone 4S leading to this drop in Q3. Another factor for slowing iPhone 5 sales is some of those who want new and great are waiting for imminent iPhone 5S. Next the Mac ASP. Previously Apple used to break down desktop and portables. Unfortunately we do not have that data anymore. So the ASP comparisons do not tell full story. Last year I wrote in GigaOm how the new Retina display would help Apple increase ASP. That is happening. More people prefer the SSD and Retina components in their MacBook Pros. It is also likely more 15″ models than 13″ are selling as the former offers more value than the 13″ models. But the slight drop in last quarter could be explained by the MacBook Air refresh and those waiting for MacBook Pro refresh. The new MacBook Air pack lot more value for the price and the absence of Retina display is not a concern as you can see in that linked article. Finally iPad ASP. Apple said customers use other tablets as expensive paperweights. But its tablet ASPs are dropping like paperweight. I wrote (in GigaOm) before how keeping the iPad2 and introducing iPad mini will affect ASP and profits. You can see those models are not that far off from what we are seeing now. 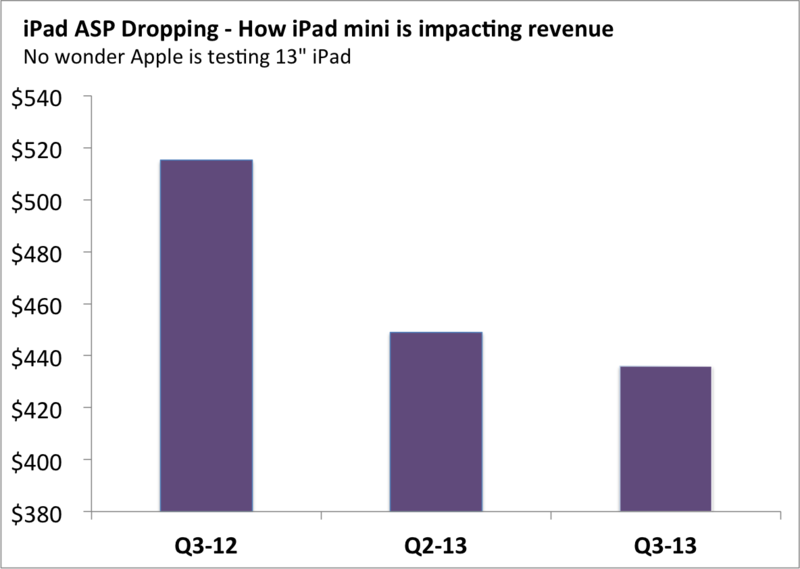 iPad minis are definitely more popular. But I believe there is another factor at play here – fewer customers are willing to pay high price premium for 32GB and 64GB versions of iPad. Most realize they do not need that much storage or rely on Cloud storage that obviates need for $100 SSD upgrade on their iPads. There are rumors about Apple testing bigger tablets. As they realize they cannot price discriminate just based on commodity SSD capacity they are opting for other product dimensions as a way to up the ASP. Bottom line, iPhone is relatively safe. With iPhone 5S the ASP will stay steady or improve. MacBook series ASPs are a worry, as people have more options to add external flash drives Apple will find hard to justify the price premium on those. iPads are a definite concern, watch for significant product changes in this area. The two biggest wireless providers, Verizon and AT&T, both introduced programs to enable their customers upgrade their smartphones more often. That is more often than the two year contract permits. AT&T’s plan is branded as Next and Verizon’s plan is branded as Edge. Both plan works the same way. You pay an additional monthly fee (in case of Next it is $10/month, Edge is yet to announce price). And you get the privilege to upgrade your phone every year. So every year Sir Ive reduces a few nanometers on iPhone, you get it right away. The response from the blogs have been predictable. They all call it outrageous or a huge ripoff. In other words, cheapskates need not apply. Happy to upgrade phone every two years, then don’t pay the $10 a month. In your customer mix there always exist some who would gladly pay more – either for he same product or for something better. That is just the artifact of demand distribution. Since finding those who would pay more for the same is hard marketers introduce better versions at higher prices to see who steps forward. Price signaling has always existed between the number one and number two players in any market. Agreeing to not engage in a price war is truly a win-win for the market leaders. Since outright price fixing is illegal, market leaders resorted to signaling to tell the other company their intentions or send a threat about their cost advantages. But traditionally, it was more like flirting — ambiguous enough that the underlying intentions could be denied. Why are these two not shy about admitting to flirting now? The simple answer is the iPhone. 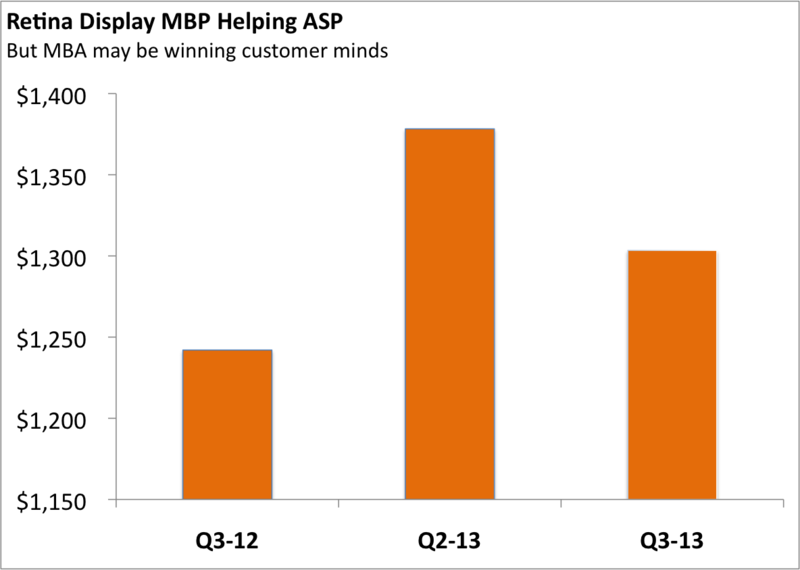 Will the customer with higher willingness to part with their money stand up! Half go that way, half come this way. And this isn’t overt price fixing. It is pricing excellence. Are you ready for $10,000 smartphone? Who buys these phones and why? Un-Fortun(e)-ately it is asking the wrong question and fails to answer who and why in its article. The digital version does not commit these mistakes opting for a benign informational title. And guess what? 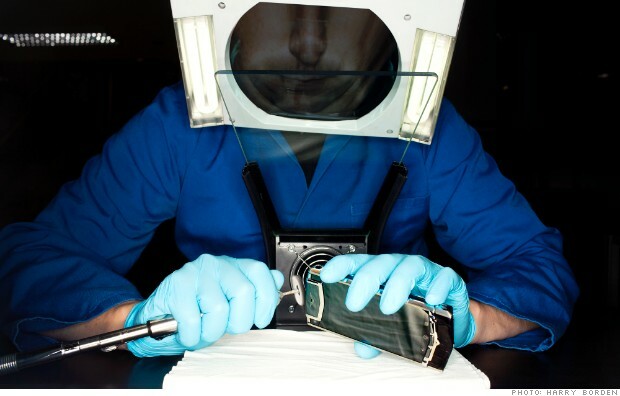 Each Vertu phone is assembled by a single craftsman and Vertu shows it off to its customers at its manufacturing site. You don’t believe $10,000 price tab is due to the labor cost, do you? Or that the craftsmen are more precise and produce better quality smartphone than the automated machinery that can assemble parts with near perfect precision? In this case McKinsey finding is partly correct. It is true Vertu wants to highlight the skill of craftsmen but not to the target segment buying the watch but to us in the peanut gallery (and Fortune readers) how great the craftsmanship is so our admiration makes it worth it for those buying the $10,000 smartphone. If you followed the real target segment and understand the job they are hiring Vertu for you will see how irrelevant the size of smartphone market is or the share to capture. Vertu is not competing for the job of iPhone/Galaxy and customers are not paying for it from their budget for smartphone (as a utilitarian device). The real market size should be based on luxury spend and the market share question is how much of that spend on Gucci handbags and Tiffany’s diamonds can Vertu capture. The moral of the story is, your understanding of business opportunity, market size, market share, competition, pricing and likelihood of success will all be wrong if you do not start with customer segment and what they are trying to get done. How do you size your business opportunity? The less-expensive iPhone 4 and 4S is eating into iPhone 5 sales. With a two-year contract, the iPhone 4 is free and the iPhone 4S is $99, and they might be popular enough among consumers that not everyone is opting for the iPhone 5, which costs $199 with a two-year contract in the U.S. This is basic second degree price discrimination – when offered multiple versions at different price points, customers self-select themselves to the version that offers them the most consumer surplus. But to execute effectively on the multi-version strategy the business must raise appropriate version fences such that those who have higher wherewithal to pay and prefer the higher priced version are not tempted by the lower priced version and switch down. In case of iPhone 4 and iPhone 4S, these are extremely very well done products that offer lot more value especially when combined with the lower prices they are being offered at. And these older (yet superb) models are cannibalizing iPhone 5 sales. Most people say, “it is better your products cannibalize your own than others doing it to you”. While no cannibalization is good, that statement would make sense if newer higher profit generating models replace your older models before your competitor does that to you. You can’t however let your past cannibalize your future. It also says something about your future product pipeline. iPhone: The crown jewel. It is harder for most to see how a smaller tablet could threaten the iPhone. Consider this in the context of total cost of ownership of an iPhone over two years: At $100 per month for mobile service fees and at $199 for the device, it costs $2,500. Mobile service providers are moving towards just one bundle of voice and data at $100 per month. If there were a $299 4G iPad Mini, some may consider a regular phone for occasional talking and the iPad Mini with $40 data fee as an iPhone replacement. Is Apple, a company that is unusually excellent (here, here and here )in multi-version pricing strategy, starting to stumble? Apple rumor mill believes Apple may be working on a cheaper iPhone. The definition of cheaper prices is different for Apple – as you can see from their pricing for iPad mini. They most likely won’t price it lower than their previous gen iPod Touch. The new model could resemble the regular iPhone, but come with a less-expensive body. Apple could employ a shell made of polycarbonate plastic, with many of the other parts remaining the same or being recycled from older iPhone models. With Apple it is not the case given their success with high margin iPhone. If they indeed use cheaper components, especially cheaper body using plastic, it is definitely not about reducing cost to price it lower but about making it as unattractive as possible to the current segment that is happy to pay $550* price. In fact they have no reason to change any of the internal components – after all these are not externally visible nor are they judged easily. They only need to change the one factor that can be seen, sets it apart from its higher priced brethren, affects buying decision and affects how the owner believes she is seen by others. It is like removing roof from third class train cars. Even if they can only eke out a smaller profit, if they can create significant price barriers preventing people from trading down they will do it.